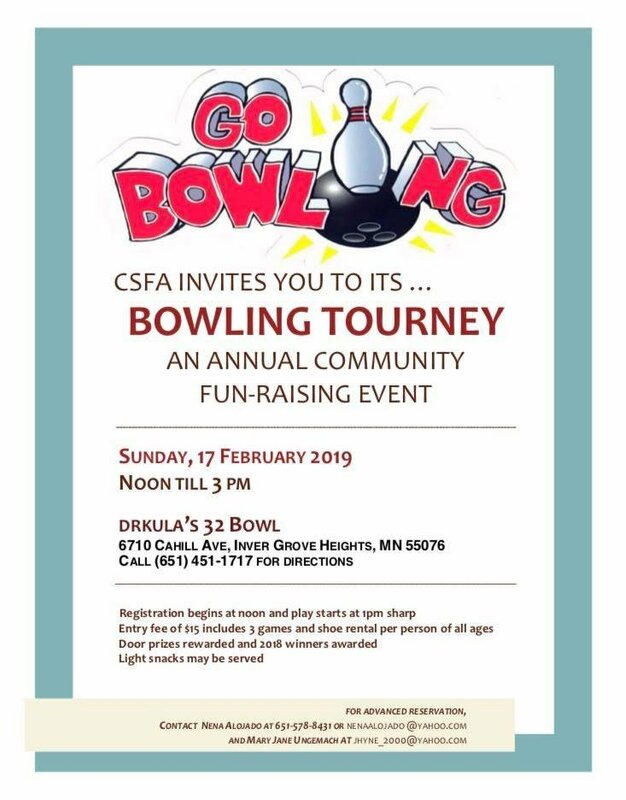 CSFA invites you to its Bowling Tournament for an Annual Community Fun-Raising Event on Sunday February 17 from 12-3pm at Drkula’s Bowl, 6710 Cahill Ave. Inver Grove Hts. MN. Registration starts at noon, bowling begins at 1:00pm sharp. Fee is $15 for all ages and includes tourney registration, 3 games and shoe rental. Door prizes rewarded and 2018 winners awarded.